One of the best things about having favourite authors is that a new story from them can be like the greatest dessert… except without all the calories! 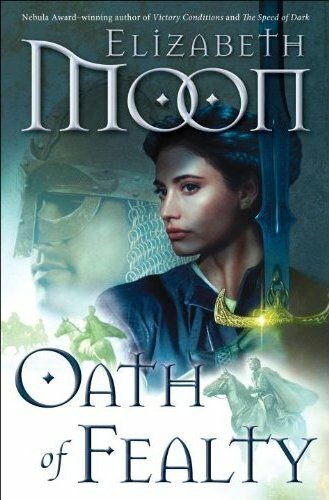 When Oath of Fealty came out in 2010 to continue some of the story lines from The Deed of Paksenarrion, I am sure that I was not the only fantasy reader to let out a WHOOP of joy in the middle of a crowded bookstore! While over a decade had passed, reading the pages then and sliding back into the story was like a reunion with really great friends… you feel as if no time at all has gone by. Once I reread The Deed of Paksenarrion for this challenge, I had to read the newer two novels, especially since I have been dropping hints of how much I would like the latest release, in hardcover format, as a Christmas present! Oath of Fealty continues the adventures of Kieri Phelan, former mercenary duke of Tsaia, whom Paksenarrion helped restore to the throne of Lyonya as the long-vanished heir as one of her paladin quests. While he is adapting to the differences of co-ruling a kingdom with his Elven grandmother, instead of a mercenary company, evil is on the move again within his own kingdom and the one he left behind. Prince Mikeli faces a coup of the most sinister nature. It appears that a powerful family, the Verrakaien, have been hiding a dark secret which will force the prince to turn to the only member of that family he can trust- Kieri’s former Captain Dorrin. She has long been exiled as an outcast from her tainted bloodline and may hold the key to the problem… along with powers that were long thought to have been wiped out. Unlike The Deed of Paksenarrion, where a single character’s experience and adventure were the main focus, Oath of Fealty does a masterful job of telling separate stories within the same novel which intertwine, intermingle and ultimately form a beautiful work of art. Moon’s storytelling ability has grown over the years, honed by her work on other series. 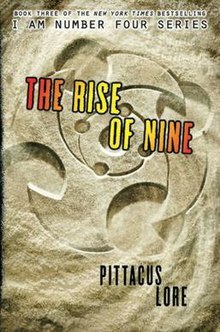 The details, slowly revealed, about much beloved but minor characters from the other trilogy, allow you to appreciate the richness of each of their lives instead of just marveling at the adventures of one. Instead of feeling jumpy, like the narratives in The Rise of Nine, Oath of Fealty switches smoothly from one aspect of the story to the next. It leaves you feeling as if you are watching one episode after another of your favourite shows instead of sitting next to a compulsive channel changer. If I had one complaint, it was the jumpiness between all the separate voices. Each character gets their own font to help distinguish which person is speaking in each chapter, but some of them were similar enough typographically that you wasted precious time at the beginning of each chapter trying to figure out who was speaking until it became obvious. As a graphic designer, I would have like to see a much bolder mix of serif and sans serif font combinations to make the distinction easier. I noticed this more than my daughter who read the book in a weekend gulp because I had a busy few days where I was picking the story up every chance I could around what life was throwing my way. Perhaps this erratic change to the style and number of voices telling the story came from the writing upheaval that the book went through before its publication. I can only hope that the rest of the series remains focussed on what made the original book “I am Number Four” so wonderful…. great storytelling!